Diane Les Becquets is a new to me author. I haven’t read her debut novel, Breaking Wild, which was a big best seller in 2016. I have only recently started reading a lot more thrillers so it’s not surprising that I hadn’t heard of her novel before. Then this one came up for review and I was eager to give it a shot because it sounded really interesting, plus I like the husky dog on the cover (I am a husky owner myself) so needless to say I was partial. I will be reviewing it in June, but since it just released this month, I wanted to get the word out to my readers and help spread the word. 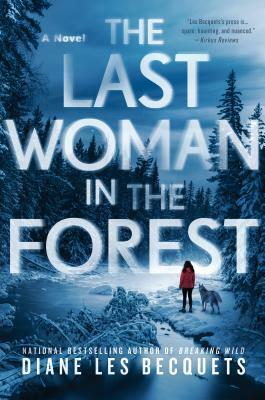 Now, Diane is back with THE LAST WOMAN IN THE FOREST (Berkley Hardcover; March 5, 2019), a thriller about a woman who fears that the man she loved may have been a serial killer. Combining her love of nature and wildlife conservation, her personal horrific experience with assault, and her interest in the real-life unsolved Connecticut River Murders of the 1980s, Diane has delivered a novel of suspense that will haunt readers until the last page. Les Becquets was once married to a forester who told her about the Connecticut River Murders of the 1980s: at least six women were stabbed and killed along the Vermont and New Hampshire border. The killer was never found. The stories of these women affected the author as she remembered her own assault: being held at knifepoint for 12 hours in a trailer when she was eighteen, an ordeal she narrowly escaped from with her life. One harrowing scene in the THE LAST WOMAN IN THE FOREST is based on this very personal experience. In THE LAST WOMAN IN THE FOREST, Marian Engström has found her true calling: working with rescue dogs to help track and protect endangered wildlife. Her first assignment takes her to northern Alberta, where she falls in love with her mentor, the daring and brilliant Tate. But after a tragic accident leaves him dead, Marian discovers growing and disturbing inconsistencies about Tate’s life. She begins to wonder if the man she loved could have been responsible for the unsolved murders of at least four women. Desperately hoping to clear Tate’s name as a serial killer, she reaches out to a retired forensic profiler who is still haunted by the open cases. As she circles ever closer to the truth with his help, she cannot shake the feeling that she is being watched and that danger lurks around every corner of the forest. Diane Les Becquets is the author of THE LAST WOMAN IN THE FOREST (March, 2019) and BREAKING WILD, both published by Berkley, Penguin Random House. BREAKING WILD, an Indie Next Pick and a national bestseller, received starred reviews from Publishers Weekly, Kirkus Reviews, and Booklist. It was also the recipient of the Colorado Book Award in Fiction, the New Hampshire Outstanding Work of Fiction, and was shortlisted for the Reading the West Book Award in Fiction. Les Becquets is also the author of three young adult novels: THE STONES OF MOURNING CREEK (Kirkus starred review); LOVE, CAJUN STYLE (Booklist starred review) and SEASON OF ICE, the latter being the recipient of a Pen American Fellowship. Other awards she has received include a BCCB Blue Ribbon Award, the Maine Lupine Award, ALA Best Book of the Year, Foreward Reviews Gold Winner Book of the Year, Volunteer State Book Award Selection, and Garden State Book Award Finalist. A former professor of English, Les Becquets has served as a judge for the New Hampshire State Council on the Arts and the Maine Arts Commission, and has taught writing workshops at venues across the country, including the University of Mississippi, Auburn University, the New Hampshire Writers’ Project, the Department of Forestry, Writers Conference at Ocean Park, Writers in Paradise, the Arkansas Literary Festival, the Telluride Arts District, and at shelters for Katrina victims. She is a volunteer at Back in the Saddle Equine Therapy Center and an avid outdoors woman, enjoying archery, bicycling, snowshoeing, swimming, and backpacking with her dog, Izzy. Before moving to New Hampshire, where she now resides with her husband, she lived in a small ranching town in Northwestern Colorado for almost fourteen years, raising her three sons. Diane Les Becquets is a member of the New Hampshire Writers’ Project, the Association of Writers and Writing Programs, and the Pen American Center. This sounds absolutely amazing and I can’t wait to read it! 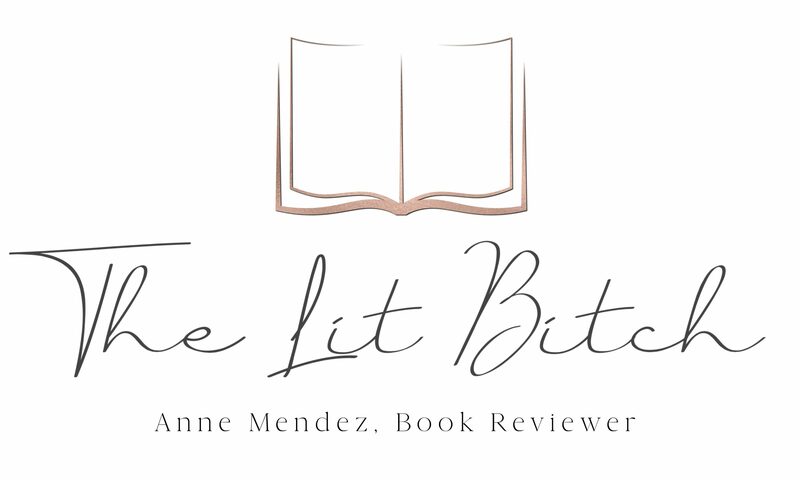 I read an early review several weeks ago and was so excited about it. The dog rescue part really got me, hehe.